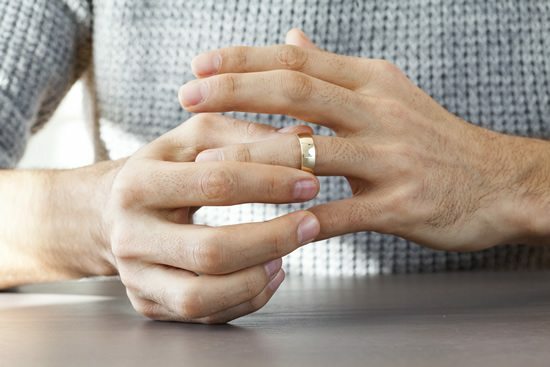 Do you have a husband who won’t wear his wedding ring? While there are some women who wouldn’t find that bothersome, there are plenty who would. If you’re frustrated by this issue, you’re certainly not the only one. Here are some thoughts on that subject. Some spouses would question their husband the first day he stopped wearing his wedding ring. Others secretly notice and quietly stew about it over time. Still, others have asked their husband about it but he didn’t get the clue that it bothers them so much. First, it’s important for you to find the right time to discuss this issue. During an argument is a bad time to bring it up. Look for a time when you both have your guard down and are having a good time. That can be while you’re on a date, taking a walk together or when you’re intimate, for instance. Do your best to think the best of him instead of jumping to potentially “devious” reasons he’s not wearing his wedding ring. Perhaps, the fear of some women is that their man not wearing his ring is a form of unfaithfulness (Or at least that it could lead to such a thing). 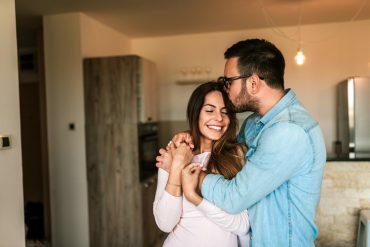 While that could be the case, there are many other potential reasons, too. As a rule, men are not as “ring oriented” as women. This can be observed by the fact that women are much more apt to notice a wedding ring on the finger of a man than a man is to notice one on a woman. Him not wearing it usually means something other than a lack of commitment. Some men have occupations and hobbies that would make the ring uncomfortable and possibly even dangerous. Add to this that most men are quite active and fear losing it. Those guys with the metal detectors at your local beach would love to find your husband’s wedding ring he lost while surf fishing or taking a swim! Fear of losing the ring or discomfort can lend to the habit of your husband not wearing it. But maybe you can compromise on this point a bit. Discuss times when it would be reasonable for him to wear his ring and when it wouldn’t. If your husband finds his ring uncomfortable, you can get it resized or replaced with a better option. To sum it up, what you most want is to be loved and cherished. This is way more crucial than a ring that is or isn’t worn by your husband. Communication will help you meet somewhere in the middle. If it is time for you to schedule your couples counseling appointment, you can do so online using our online scheduling tool, call us at (949) 430-7269, or text us.